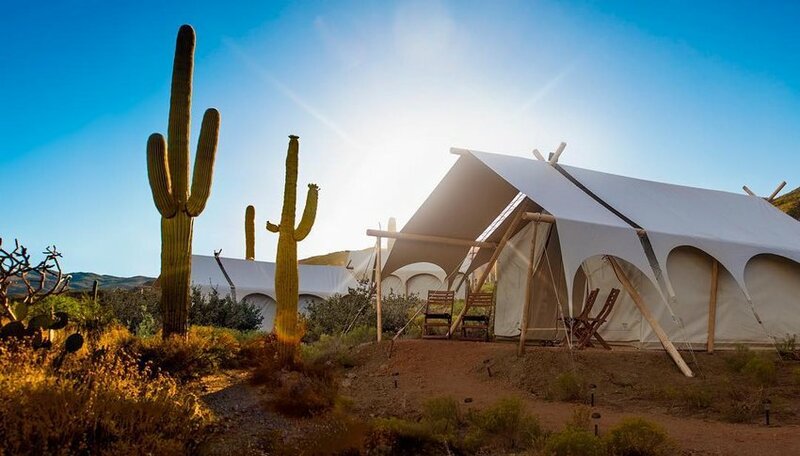 Glamping is the perfect choice for those who want a taste of the great outdoors but can’t bear the thought of losing all the comforts of a hotel. Got a bad back? Don’t relish the thought of traipsing to the toilet block in the dark? With proper beds, en-suite bathroom facilities and private decks, a glamping tent is both luxurious and at one with its surroundings. Here are our picks for the top sites around the world. You’ll find Patagonia Camp just outside the gates of Chile’s spectacular Torres del Paine National Park, but don’t think that the scenery will suffer as a result. Its luxury yurts tumble down the hillside overlooking Lake Toro and the dramatic peaks of the Cuernos del Paine. Inside, you’ll be cocooned from the sometimes wild Patagonian weather thanks to wall-mounted radiators and cozy soft furnishings. A luxury en-suite bathroom has a full-sized tub as well as electricity to power a hairdryer. At night, watch the stars through the glass dome in the yurt’s roof and sleep soundly in your comfy bed. With options conveniently close to many of America’s great national parks – Glacier, Yellowstone and Grand Canyon just for starters – the hardest part of booking with Under Canvas is deciding where to spend the night. One-roomers and suites complete with showers, wood burning stoves and private decks provide comfort yet bring the outdoors right to your tent flap. Inside, the largest tents even have room for a sofa – enough to convince even the camping skeptics to join you. 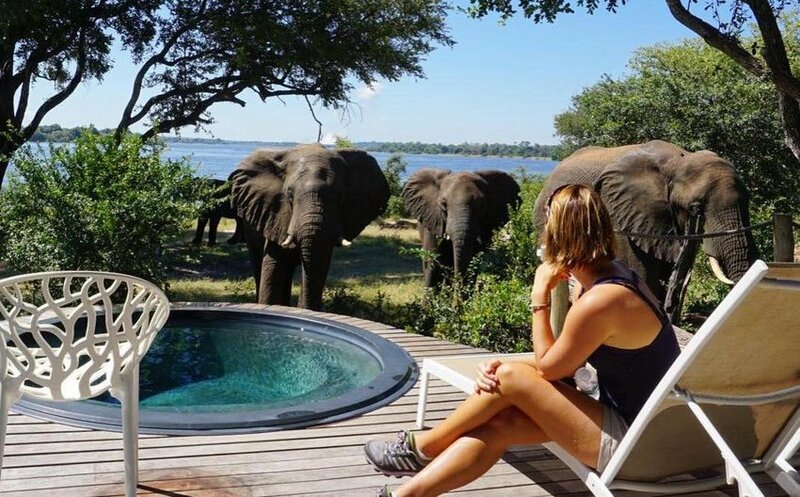 Victoria Falls is known locally as Mosi-oa-Tunya or “the smoke that thunders” and by opting for glamping over a hotel, you stand a chance of hearing its roar. The falls straddle the border between the southern African nations of Zimbabwe and Zambia. At Victoria Falls River Lodge, luxury tents and treehouses line the banks of the mighty Zambezi. Built from wood, thatch and glass, they complement the verdant setting. Oversized beds, outdoor bathtubs and private plunge pools scream luxury, but be prepared to share your pool time with the local wildlife if they’re feeling thirsty. Surrounded by mile upon mile of desert, those staying at Longitude 131 have just one thing to focus on: Uluru. Each suite is built on stilts for an unimpeded view of Australia’s most famous rock. The tour program includes sunset walks and hikes to waterholes, while helicopter flights and more can be arranged separately. A generous private terrace complete with day bed is perfect for watching the rock’s changing colors as the sun rises and falls. At night, cozy up inside or channel your inner swagman and sleep under the stars beside a roaring fire. Bali’s lush interior is as much a draw as its many beaches. 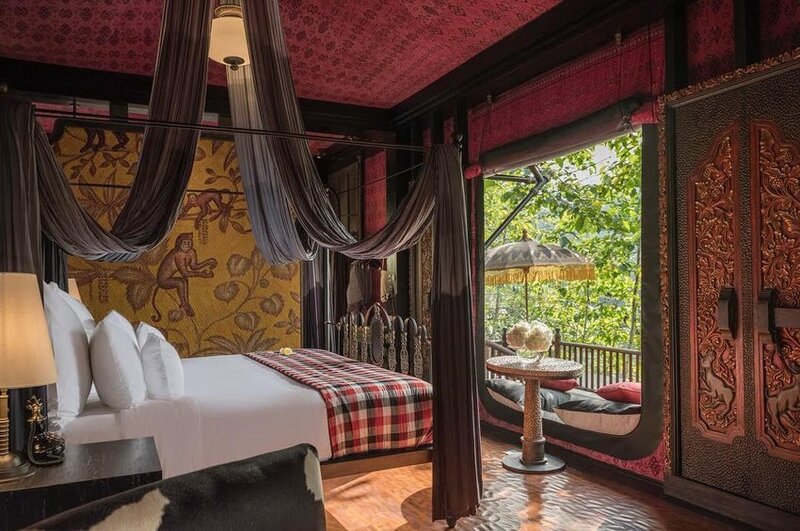 Capella Ubud is the ultimate rainforest retreat, its sophisticated terrace tents surrounded by dense forest and rice paddies. This is no ordinary campsite: traditional Balinese furnishings, outdoor bathrooms and private pools are designed to pamper and re-energize. Wellness is at the top of the agenda: spa treatments, yoga and Pilates classes are offered to guests. 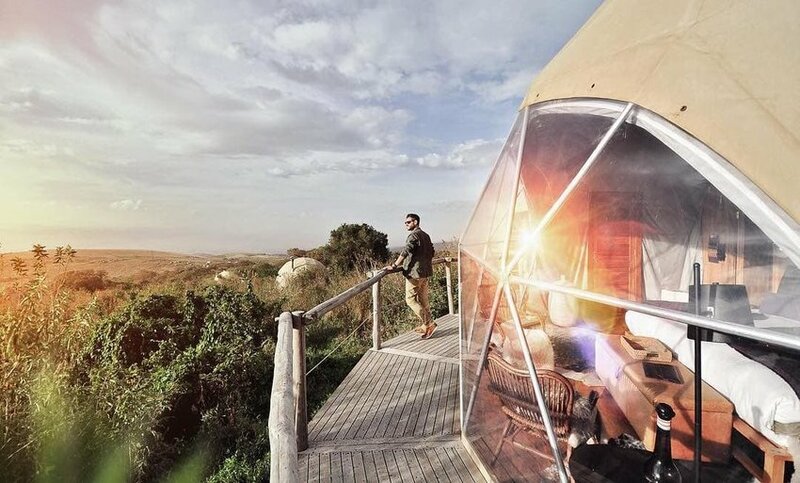 The glass and canvas domes of The Highlands somehow manage to redefine high-end glamping without compromising on tradition. Located on the flanks of Olmoti Volcano, this elevated position affords breathtaking panoramas across the crater and even as far as the plains of the Serengeti. Floor-to-ceiling windows maximize the views and in-room fireplaces help keep guests toasty when there’s a chill in the air. By day, game drives offer the chance to spot leopard, lion, elephant, wildebeest, buffalo and zebra; interactive community visits bring the world of the Masai into reach.